Construction of new early-warning radars in Russia has really taken off in the last few years. With new radars coming online and some retiring, the shape of the radar network has changed quite dramatically since the last update. Also, some new good information has come out - for example, this story that described a visit to the Main Space Situational Awareness Center has a nice photo of a chart that lists early-warning and space surveillance assets that were operational in September 2011 (thanks to AS for this and other tips). Key characteristics of the radars that are involved in early warning are in the table below. The ranges apparently assume some standard radar cross-section of a target - in the space surveillance context this would be a satellite. It would be different (smaller) against warheads. In addition to the radars listed in the original chart, the table has information about radars that are not listed there - second Voronezh-DM in Armavir, Voronezh-DM in Kaliningrad and Voronezh-VP in Mishelevka. The radars in Armavir and Kaliningrad are assumed to be similar to the first Armavir radar. Orientation of the East-facing Armavir radar can be seen at Kosmosnimki.ru. The Kaliningrad radar is seen on Google Earth. The Voronezh-VP radar in Mishelevka is expected to be more powerful than Voronezh-M deployed in Lekhtusi - VP stands for "high potential" - so its range is probably larger than 4200 km. 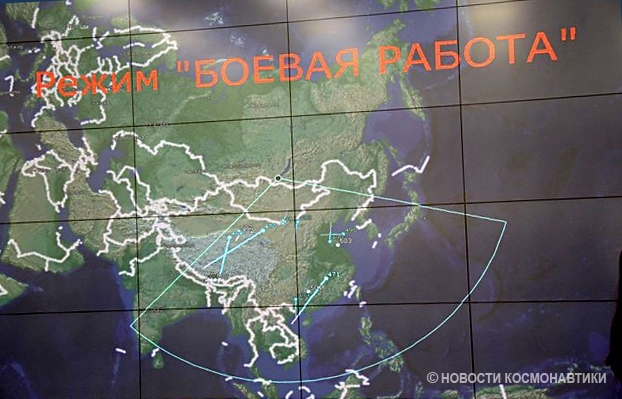 The radar is not yet seen on Google Earth, so its exact orientation is not known, but the radar fan can be seen on this photo, published in Novosti Kosmonavtiki. Russia has recently discontinued the use of the Daryal radar in Gabala, but I kept it in the table, if only because it was mentioned in the context of potential U.S.-Russian cooperation. With so many radars in operation, making a reasonable map of coverage is not that easy. I did, however, put together a Google Earth file that shows the radar fans. You could download it here. The photo above gives a sense of what's in the file. UPDATE: Construction of the Voronezh-DM radar in Baranaul began in June 2013. UPDATE: One more radar will be built in Orenburg region. It will be another Voronezh-type radar, but at this point it's not clear what type of Voronezh. Another report suggests that a new radar will be built in the Omsk region. So, for many years there were claims that the cancelled Daryal radar at Yeniseisk (something to do with ABM Treaty and inland-facing radars) created a window of no coverage in the Russian BMEWS. Does you chart suggest that no such window of vulnerability ever existed and the north-eastern approaches were covered by the radars in Pechora and Irkutsk? artjomh: Yes, the gap is pretty much a myth. The issue actually came up quite prominently in the old discussion about "U.S. nuclear primacy". In that particular case, the "gap" claim was based on a faulty map. There was (and still is) a range of trajectories that might not be seen very well by the radars, but I don't think it ever had any significance. The radar planned in Barnaul, will it be facing south towards India or north to provide coverage over Siberia and part of the Arctic Ocean? Also, are inward facing ballistic missile warning radars allowed under START-3 or any other treaties, why or why not? Max: I'm certain the Barnaul radar will be facing south. There is no restrictions on radars in New START (although there used to be one in the ABM Treaty). Thank you for the response, Pavel. Are the Voronezh radars part of the PVO/PRO system? 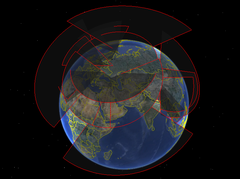 I know that S-300/400 launchers have their own illumination and engagement radars, but do the air-defense troops also make use of air-picture data from the OTH radars? IMHO that would really boost their situational awareness. The table is great but there some things I cannot read, and I think some transcription errors. Lots of questions! 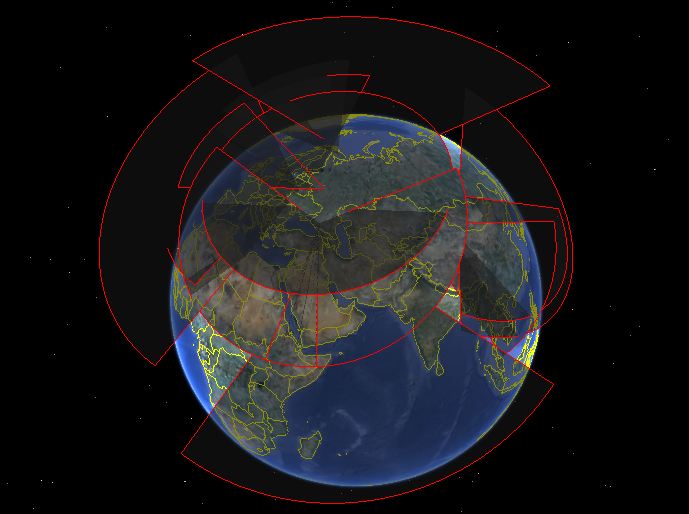 It looks like they are tracking a launch of a Proton-M/Briz-M. I'm guessing a Proton and a missile are not that different in size, but a Briz-M would be smaller. Can anyone read what is after the Volga. It looks like something M, but not a D. Volga-BM? This is radio names? I've come across STOPOR for Gabala before, but not the rest. The table has the same range as Gabala 300-7200 (you have 30). Presuming this is km? The Dnepr at Balkhash has a different range (385-4600) to the other two Dneprs (250-4600). I wonder why. The Dnepr at Balkhash should be 100-3400 not 340. Former air defence site near village of Konyukhi (Конюхи). There is a village called that about 20km from Barnaul at 53°10'10"N 83°42'0"E.